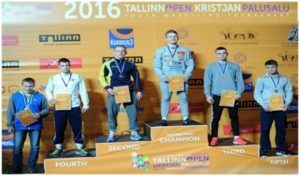 TALLINN OPEN – Kristjan Palusalu Youth Wrestling Tournament is the largest wrestling tournament in Europe, and the third largest in the world. The 2017 edition attracted a record 1805 wrestlers (including 226 female) from 27-countries. It is held at the largest indoor facility in the Baltics – the Saku Suurhall. 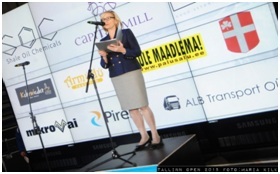 The 2017 TALLINN OPEN received unprecedented pre-competition-, during-competition- and post-competition coverage on TV, radio, print and social media in Estonia and abroad. The competition was broadcast online. The 2018 TALLINN OPEN takes place 30march to 12april, 2018 . Due to time and space constraints, participation for the 2018 event is being limited to a maximum of 1800 wrestlers. The event is held and operated 100% by volunteers of the not-for-profit “TALLINN OPEN – Kristjan Palusalu Maadlusvõistlus” organisation. The success of such an event is the hard work of the many volunteers, and it would not be possible without the valuable contribution from the many strategic partners, sponsors and supporters. The communication team works with sponsors and supporters, to provide maximum visibility, contact and sales/marketing opportunities before-, during- and after the competition. Many partners had onsite booths to maximize contacts and sales. Since 70% of participants are from Estonia, Latvia, Lithuania, Finland, Sweden, Norway and Russia – sponsors and partners, with similar geographical operational footprint, have found this uniform audience, to be an excellent opportunity for introducing and targeting products and services. We look forward to meeting and discussing new and exciting ideas with new partners, to find and seal new longterm WIN-WIN collaboration relationships. All in the name of supporting and promoting health, youth sport and wrestling.